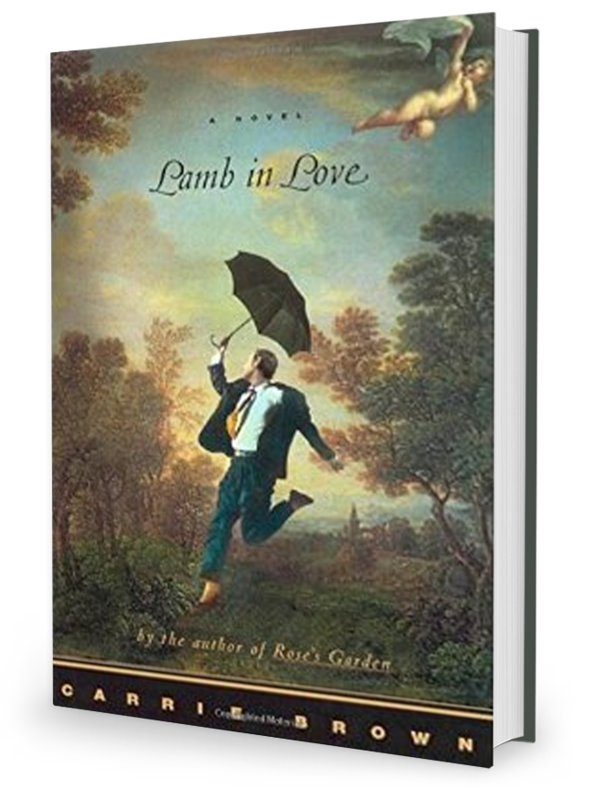 In Lamb in Love, her second novel, Carrie Brown celebrates a man and a woman who discover in themselves a certain bravery that allows them at last to become the heroes of their own story. Lamb in Love is set in a rural English village and tells of two people surprised halfway through their lives by… by what? passion? desire? love? Neither of them have the experience to quite identify it. Norris and Vida have known each other forever. Both believe themselves somehow lacking the instinct for romance. Neither has, heretofore, had any idea how to go about falling in love. Vida Stephen is forty years old, nanny for twenty years to the mentally handicapped son of a rich American widower. Every day, for almost her whole life, she’s nodded to postmaster Norris Lamb when calling for her mail. Norris is, at fifty-five, a fussy, stamp-collecting bachelor and church organist who has fallen suddenly, amazingly, and secretly in love with Vida. Sometimes Norris offers pretty stamps to the boy. Witness to Norris and Vida’s halting, sometimes embarrassing courtship is that boy, Vida’s charge, Manford — mute and clumsy and yet possessed of a strange and gentle intelligence. It is through Manford, even thanks to him, that Norris and Vida finally come to recognize each other and themselves.